Unless Zelda is next to Chuck Norris, I am unsatisfied. I know someone did not but Obama next to the greatest game of all time! Delete this picture! Blasphemy! Bible game just ask the nerd about that! Joe is Duck Hunt! 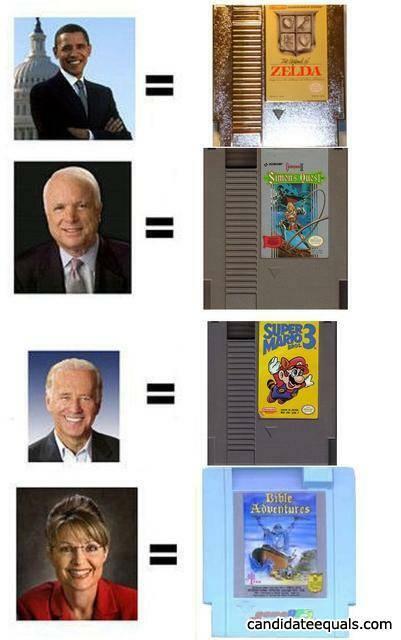 Duck Hunt I tells ya......McCain is Ghostbusters or Back to the Future. I used to think skyrim jokes were funny. Then I took an arrow to the knee.